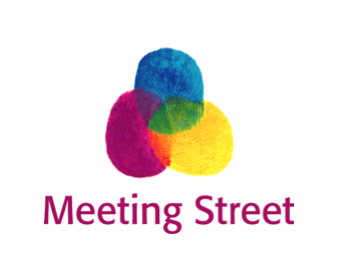 Meeting Street will host free training to teach more about deaf history, cultural norms, resources available for children, and information that can be used in everyday life. Audience questions will be answered by a local expert in the field. Topics of discussion include what it means to have a deaf child, how to advocate for interpreters, captioning, technology and other resources. Sign language and Spanish interpretation is also available. Light refreshments will be provided. Child care will be available on first come, first serve basis. Founded in 1946, Meeting Street compassionately and innovatively empowers children and their families to thrive by fostering the development of the whole child. Meeting Street’s vision is to be a national leader in child development, education, research and training. Today, Meeting Street works with over 5,000 children and families annually through its core programs: Early Intervention, Early Head Start, Healthy Families America, Early Learning Center, Pediatric Outpatient Rehabilitation Services, The Grace School, The Carter School, and The Schwartz School. For more information about Meeting Street visit www.MeetingStreet.org.